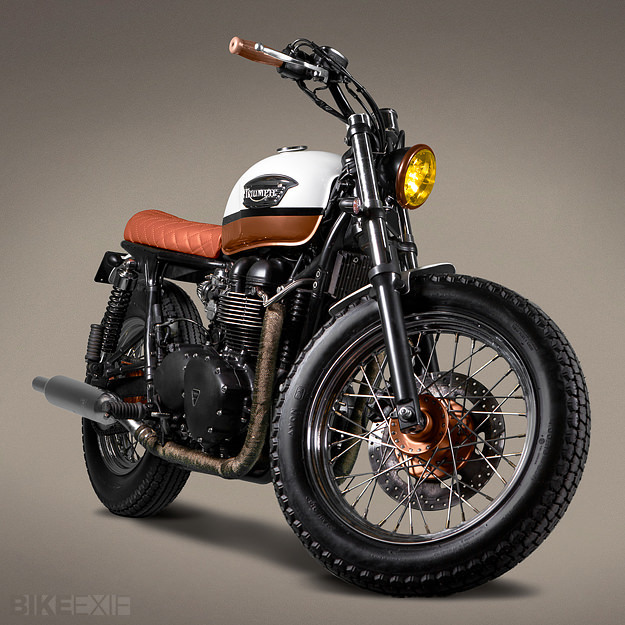 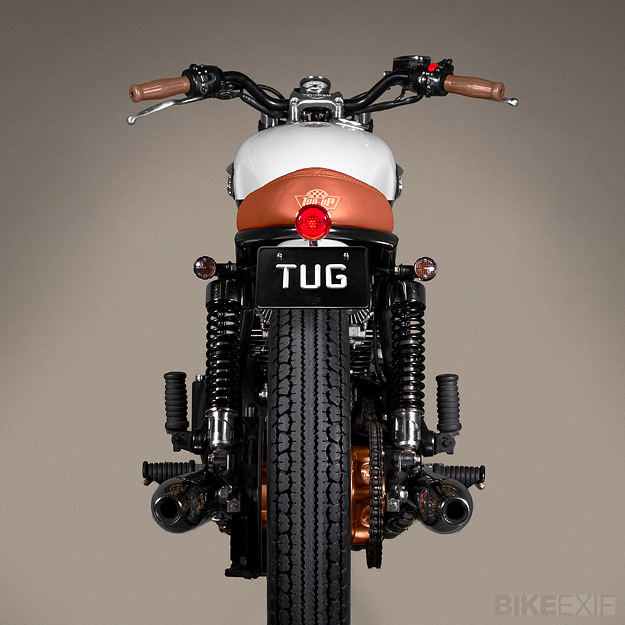 Triumph customs get all the press – and all the Likes on Facebook too (if you count that sorta thing as important). 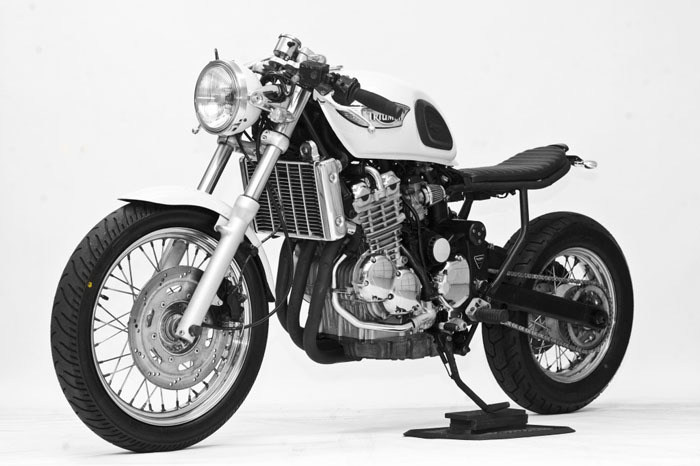 Either way, you can spend all day looking at the various custom Trumpets that pro builders have put together recently, but few come out as strong and purposeful-looking as Black Betty by Steel Bent Customs. 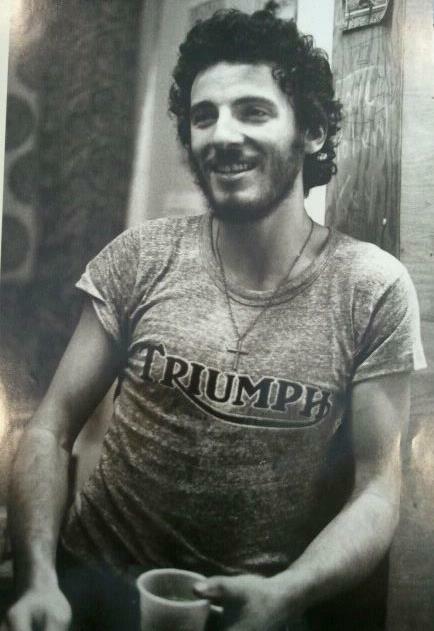 Story has it that Bruce always dreamt about riding a Triumph whilst listening to Bob Dylan, his musical hero.